We offer fabulous Theatrical Dance and Performing Arts classes each week out of two unique studios. Children can enrol into classes from as young as 2 years of age. 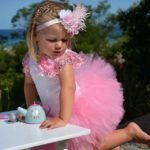 Classes are: Our delightful Dance Baby Dance and Baby Tap, Classical Ballet, Jazz, Tap, Hip Hop, Contemporary and Musical Theatre – all fully catering to your child’s recreational dance needs. For the more dedicated dance student, private and competition classes can be taken. Entry into the professional world of classical ballet and performing arts has been achieved with students from this school. Our annual End of Year Performances are a spectacular event that is equal to no other as all performances are original and themed based. Phoebe Allen, Chelsea Banks and Lara Bolger. Guest teachers are invited into the school each year to further assist the student training and development. Our Dance School is considered one of the best in Regional Victoria as we nurture and encourage ‘thinking’ dancers so your child become responsible for their own learning and where enjoyment and results are guaranteed. As quoted by many satisfied parents – ‘the teachers brings out the best in the child’. (Read below the remark from Karen Malek, Adjudicator for over 20 years, President of ATOD, Ballet Mistress at TRANSIT DANCE Melb. ‘I recently spent a delightful day examining at Jan Pianta School of Dance and was thrilled with the standard of work presented. It is so refreshing to know that East Gippsland has such a high standard of dance training available at its fingertips. Country Victoria has produced many fine dance artists over the last 50 years. I travel not only throughout Australia examining and teaching, I travel the world and can safely say that the standard of teaching in Bairnsdale with Jan Pianta School of Dance is of the highest order. Student have gained entry into the Australian Ballet School ITP, (International Program for Gifted Students), The National Theatre Ballet School, Victorian College of the Arts Secondary School, Dance World 301, The Australian Conservatoire of Classical Ballet, VCE Dance Top Acts, Transit Dance Youth Program, Melbourne City Ballet School Youth Program, SCIMMS, Transit Dance Secondary School. Highest award received in East Gippsland for Certificate 11 in VET Dance in VCE with Victorian Department of Education and Training, state winners in the Australian Ballet School and Telstra Junior Dancer Awards and much more. We welcome your child into this dance school to experience dance at its very best here in East Gippsland – Bairnsdale. We now teach second generation children!